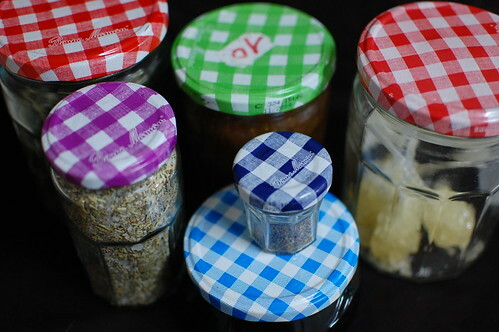 Glass jars with metal gingham covers, in a variety of colours and sizes. 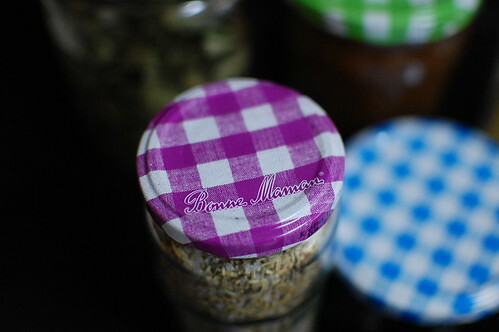 My collection began 3 years ago, with the easy to find red covers, that are the lids to Bonne Maman’s Strawberry Jam. 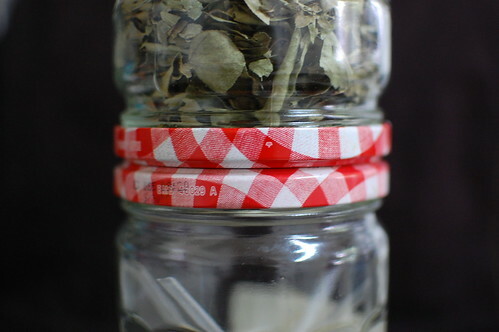 The jars are currently filled with dried curry leaves and sugar candy sticks. 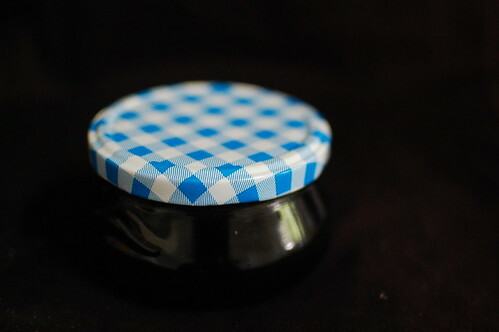 They were followed by a blue lid, which currently tops a jar of homemade redcurrant jelly. Two years old…..and still waiting to be opened. I’m going to seek out some lamb chops to serve this alongside. 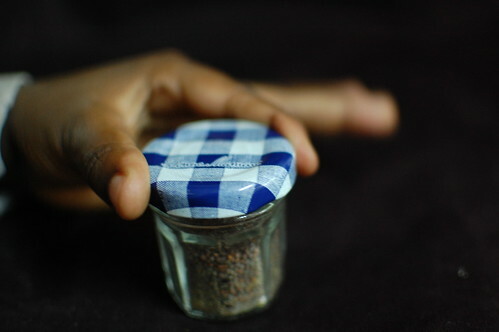 The tiniest member of the family I picked up in London on a trip and it was full of honey. I love the ‘refined’ deep blue of the cap. 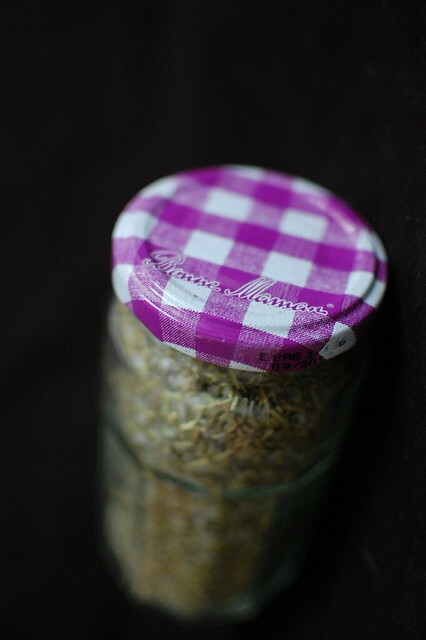 The purple one I absolutely love – infact I bought the jar, and then made up a Raspberry Bakewell tart to use up the jam. Crazy, right? Wrong. Just loving gingham and all things check. 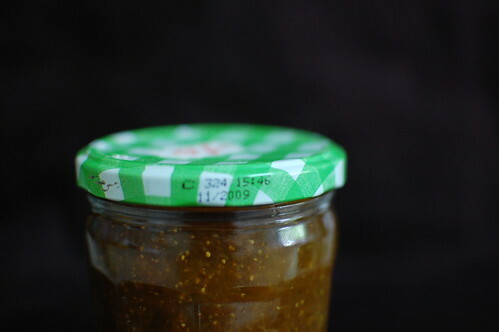 And the green one, pretty close to a jar of foie gras was a gift from a wonderful French friend, on the eve of our departure from The Netherlands. 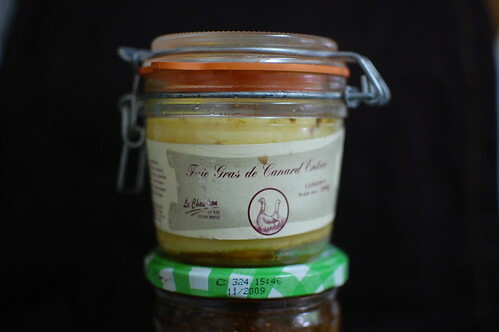 First he gave us the Foie gras and then he brought out a jar of fig jam, made with figs from his own fig tree which he planted in France 20 years ago! Amazing, aye? 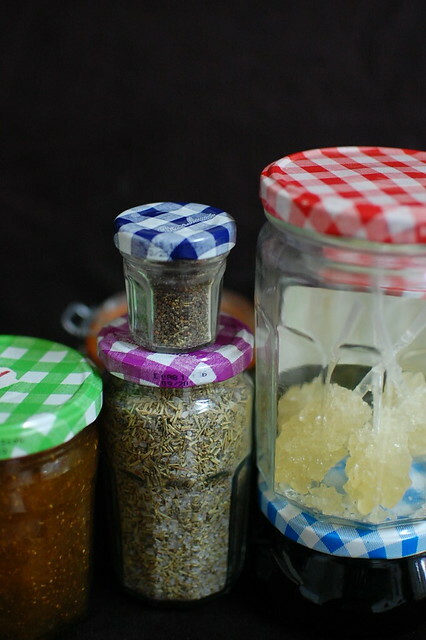 I love collecting things and this jars are amongst my favourites. And I’m always on the lookout for more. 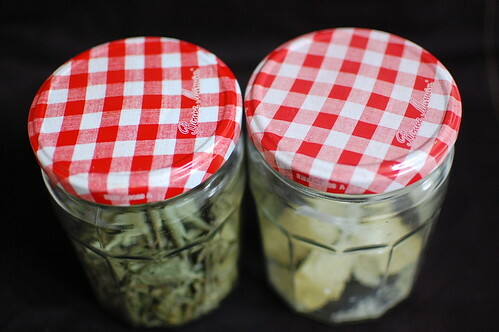 Do you have a thing for gingham jar covers? Or do you think I’m weird? Oh well. 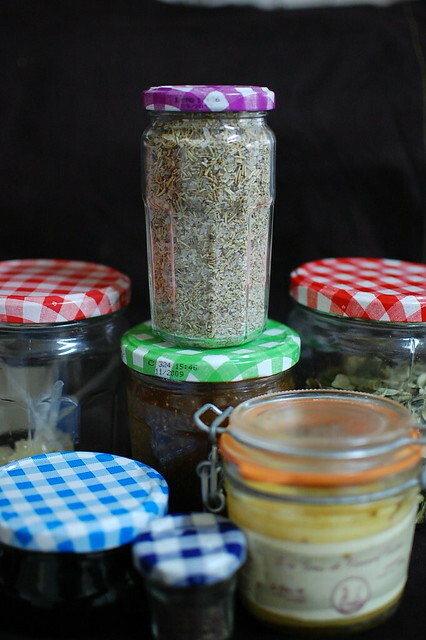 This is me, joining in the fun with Celia, of Fig Jam and Lime Cordial who does a monthly feature called ‘In My Kitchen’. Thanks for the inspiration Celia.